Investigators say it's another case of fowl play. 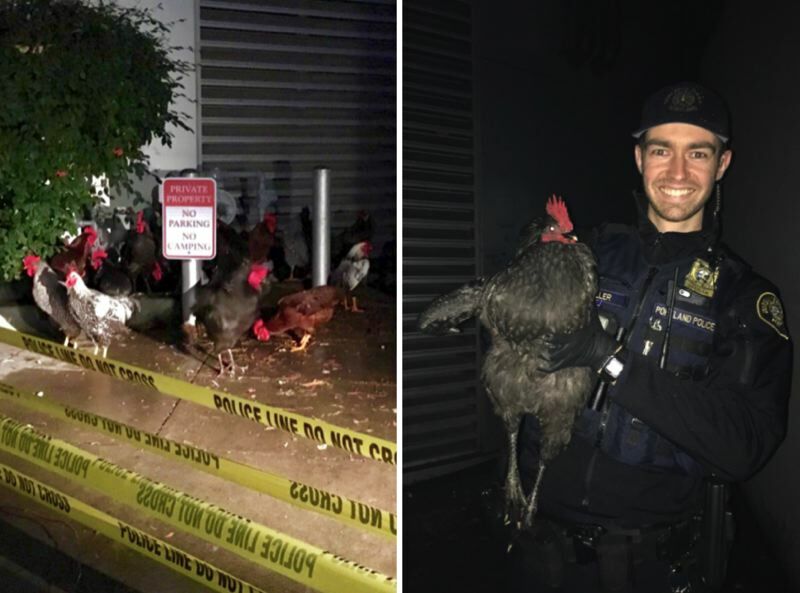 Portland Police responded to the Pearl District on Saturday night after receiving reports regarding "about 30" loose chickens running wild and clucking up a storm in the streets. Officers with the Central Precinct responded to Northwest Lovejoy Court and Station Way around 6 p.m. on Saturday, Nov. 3. The authorities managed to corral the brood into a "dry roost" for the night with the help of Oregon State Police's fish and wildlife division. From there, Multnomah County Animal Services catalogued each bird of a feather in its online missing pets database. 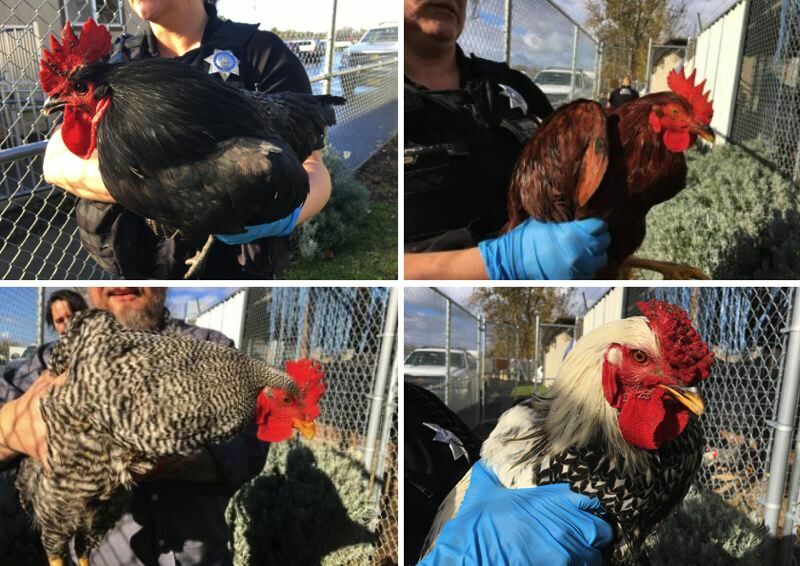 Their lawful owner can claim the birds — though it should be noted that Portland's municipal code prohibits the keeping of roosters within city limits.